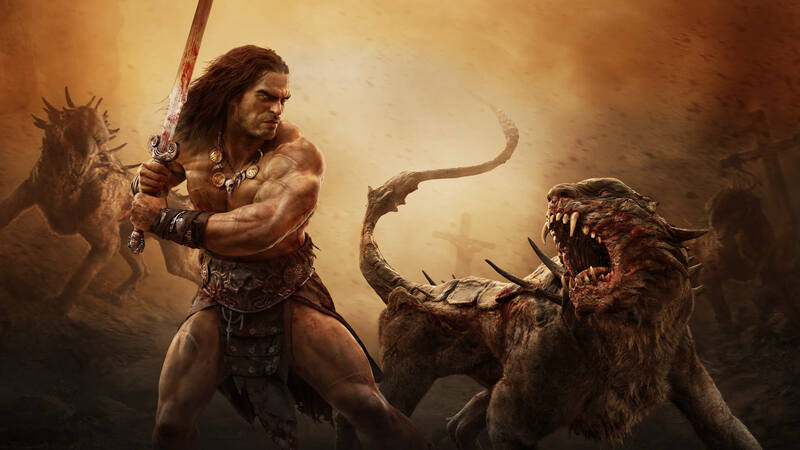 Now that you can download the April 2019 PS Plus games for free, you might be wanting to try out Conan Exiles. (Or, considering how poorly it reviewed, maybe not.) But a recent discovery in which you can earn all of the trophies in less than two hours might make a trial more desirable. Ordinarily, the trophies are grindy and require you to level up your character. But console commands save the day. A grind wouldn’t be so bad if the game were enjoyable, but since this game is a jank-fest, earning a Platinum trophy without having to play much is a godsend. Thanks to console commands, you can earn trophies without having to. To access console commands, you have to do a couple of things first. First, jump into the game’s offline mode and make sure you’re on the Civilized difficulty. After you’ve made a character, you’ll be ready to access the console commands. Set Crafting Time Multiplier to 0.1, Thrall Crafting Time Multiplier to 0.0 and Fuel Burn Time Multiplier to 0.1. As for the trophies that require you to reach a certain character level, you can simply change those from the Admin Panel in the options. If you select Set Level, you can change the number associated with your character’s level from there. There are numerous enemies you must defeat for the Platinum, as well. If you enable God, NoSprintCost, and Freeze in the Admin Panel, you can easily use the Spawn NPC option and use the search box to bring in whichever enemy you need. Experiment with the Admin Panel, and you can use it to earn all of the Conan Exiles trophies. It is worth noting that there is one trophy that cannot be obtained with console commands, due to a bug with the Fly option in the Admin Panel. You’ll need to legitimately earn The Tower of the Elephant trophy, which requires you to kill something by standing on its head. Since the trophies can all be obtained so easily, does this make you want to jump in and try Conan Exiles?